The Filliam H. Muffman pose made me laugh. All right, this round I'm breaking my own rules and calling a tie for the women between Keri Russel and Ellie Kemper, both stunning and tasteful. 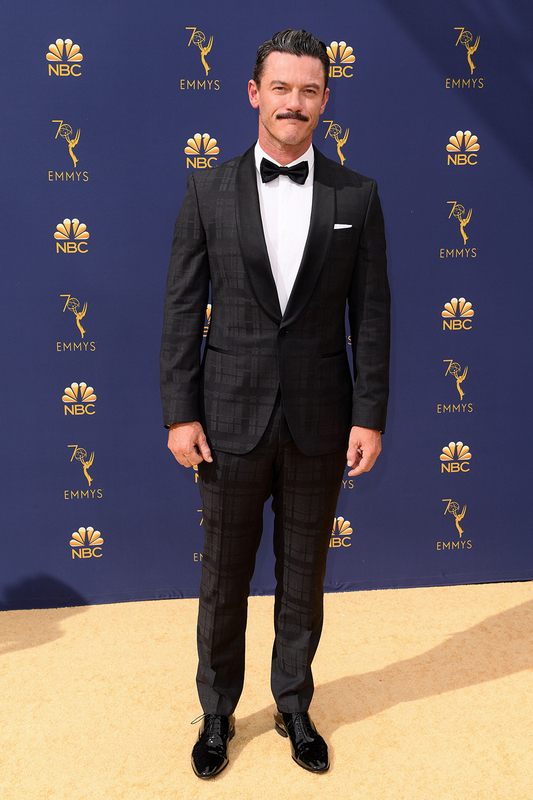 Luke Evans wins for the guys, dapper as ever, even with that pornstache. Felicity looks fantastic. Great acting couple right there! 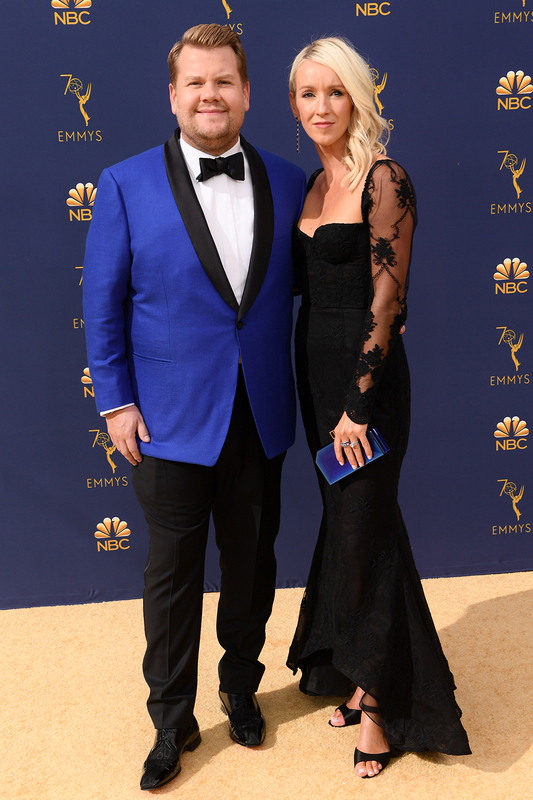 That's James Corden's wife?? Not what i was expecting. Also, they look like they're heading to prom. Remember when Will & Jada used to go matchy on the RC? Good times. The Felicity/William picture made me chuckle. I love them together. Not sure I'm digging the dress Alexis picked. Alexis' dress is another repurposed 70s pantsuit AND it has crappliques; bad then and even worse now. Ellie Kemper looks like a scarecrow and that empty orange dress is not doing her any favors. Put a pumpkin on her head and she can come stand on my lawn this Halloween. Love her work but my God she looks terrible, have a cheeseburger girl. Idk if it's the dress or the way she's standing but Kristin Cavallari looks like she was caught picking apples into her skirt just before the photo was taken, something strange about that skirt. Kristin so s for trying too hard and failing. E!lie looks great! Even Kristen Cav looks embarrassed by her outfit. Like a fashion design student whipped that up overnight on the Janome.